For a regular supply of wine throughout the year, plus all the latest news and discounts, set up a Direct Debit for a minimum of 6 deliveries a year, i.e. one case every other month. From as little as £60.00 every two months, with 50% off your first case*, we can deliver from a selection of Phil’s recommended budget cases. Alternatively, pick your own selections from our Spring 2010 wine list or simply tell us what you like, i.e. New World Sauvignon or oaky Spanish reds, tell us how much you want to spend, how often you would like us to deliver and we will do the rest. Quarterly newsletters will bring all the news and views of what is drinking well for the season, plus tasting notes, food matches and our latest offers and events. We can also supply mineral water, soft drinks (Belvoir Fruit Farms) spirits and mixers, beers and lagers. 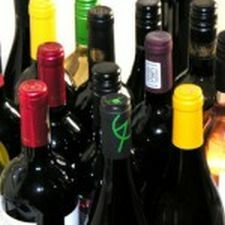 Its quick and easy and guaranteed to take the hassle out of buying your wine and other drinks. Contact us on 01476 860257 or email us. The following are Phils personal recommendations for wines that are drinking particularly well now. * a maximum of £50 discount when you set up a standing order for at least 6 cases a year.